Our family has been richly blessed through the use of the Classical Conversations program. Our family began our journey with CC in the Foundations program. I started homeschooling my oldest when she entered first grade, and my son was right behind her in preschool. I enrolled them both into Foundations that first year, and had 2 other littles to manage. I remember struggling my first year to wrap my head around the idea of the memory pegs and how to flesh it out at home. Many families who get started with Classical Conversations experience the same challenges in figuring out how to implement it in the first year. Part of that is the way we were educated, where you feel like you have to fill a lot of time, or complete cool projects to have a great education, and that simply isn’t the case. Classical Conversations provides information for the grammar stage of classical-style learning. In addition to the information (and presentations, fine art study and science experiments) your child will complete within Classical Conversations, you will also need to choose a method (or curriculum) to study language arts and math. If you are beginning in Foundations for your first year with CC, I would recomend just starting with Language arts (think reading, phonics, grammar (depending on age), spelling, etc.) math, and CC memory work. Limit yourself to just these things for a month or so until you feel like you have a routine with the memory work. You can have your child write out the history sentences, scripture memory, science memory work, etc to reinforce what they are learning and get some writing practice. After you are comfortable with the routine and things are going well, then add another subject, project or resource. Once that is going well, add another, etc. And most of all, don’t forget to add playtime and discovery to your schedule! They are just as important as math! As we moved into the Essentials program, I decided to use First Language Lessons level 3 in their 3rd grade year as a gentle introduction to grammar. We used the CC English Grammar Memory work and completed a lesson on any day we could, with each lesson taking about 15 minutes. Our goal wasn’t to complete FLL, but to become exposed, so wherever we ended up at the end of the year was fine. I will be doing this same thing with my third child this year. They love the one-on-one mom time, and I can spare 15 minutes so that there is a lower chance of feeling overwhelmed for them in their first year of Essentials. I tutored Essentials for three years and LOVED the program! I love how the grammar portion pairs so well with the writing portion, and how the competitive math games spurred my children on to do better at home in their math studies. Most of all, I feel like I truly redeemed my education in grammar and have such an appreciation and love for words and language structure that I never knew existed. As we move onto Challenge A and Latin studies, I am excited to apply these same skills to those studies, and have the confidence that my English grammar background from Essentials, as well as my Latin memory work from Foundations has prepared me for our Latin studies. A few things I added in the 4-6th grade years along with our Foundations memory work and Essentials work, was Math, Mapping (we loved the THIS Series! ), Typing Instructor, and a lot of audio books on history and literature. We also completed special projects like Memory Work Lapbooks, or art & music studies. This fall will be our first year in Challenge A. I will be tutoring the class of 11 which includes my oldest daughter. I spent the last few years reading through many of the Challenge books because I knew I wanted to tutor Challenge someday. I have been excited for the kids to reach this stage of learning since beginning CC almost seven years ago. I just never expected it to come so quickly! Our children grow so incredibly fast! Some things we are doing to prepare for Challenge A this fall, are to listen to the audio books of all of our literature studies as a family. Even my younger kids can join in on our discussions this way, and they will be familiar with the books when their time for Challenge A comes. We will also be copying latin charts here or there, so that we have a bit of a headstart in linking all of our Foundations latin memory work to the chart details. I highly recommend parents to read “The Question” by Leigh Bortins. This is a fascinating read, and you can begin to implement these ideas right away in your own homes! If you can, read it when your oldest gets to Essentials, and begin using the question methods at home. I think you will really enjoy the practice of training your children to think and discuss, and this book it a great tool to help you do that! Half-a-hundred Acre Wood – Fantastic blog which FREELY includes A TON of links to instantly supplement your CC studies! Looking for something to dig deeper with? This place is a great place to go! CC Games – this site by Karen Dewey has a number of resources to use with your journey through CC. Her Great Artists powerpoint is beautiful! The Corkboard – This CC mom lists ideas and activities week-by-week. Adventures of Bear – This CC mom also lists activities week-by-week, and has a Montessori-type hands-on approach that is especially fun for the little ones! 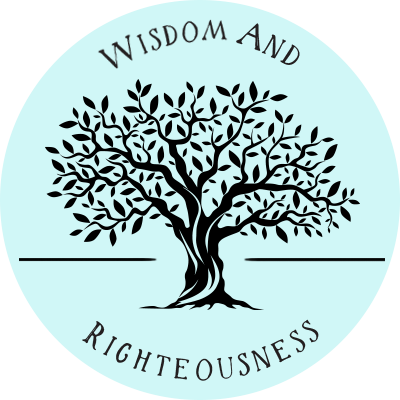 Sola Gratia – If you are new to CC and don’t want to spend time putting together your own study schedule using the links above, this CC mom has created a schedule for you to purchase. Her visual “how-to” plan also includes an activity day she calls “Wonderful Wednesdays” which can include the use of the My Memory Work lapbooks that I create and are listed here. Other CC Blogs – This a page that lists a number of blogs written by CC moms! 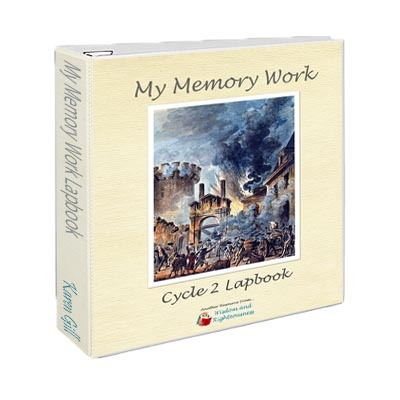 If you are interested in the memory work, but want a hands-on way to learn, review and retain the information (not to mention a fun way to show grandparents what you are learning) you can’t miss out on these Memory Work Lapbooks! 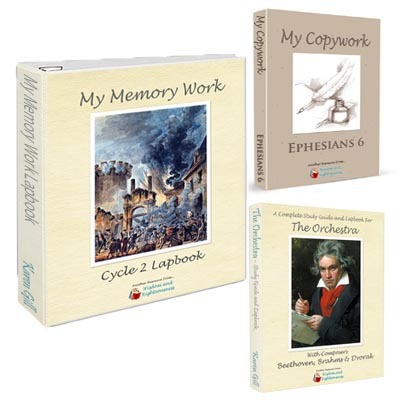 They are completely laid out with directions and pictures to walk you through creating your own “workbook/scrapbook of knowledge“. Interested in knowing what we did our first year of CC? Check out our First Year-In-Review. Socialization – Are We in the Game? And don’t forget to check out the FREEBIES PAGE!!! Lots of stuff for CC and life in general…..